Raymond Revuebar, 11 Walker’s Court , City of Westminster, London W1, 2015 • We saw this in its fading 2002 incarnation yesterday; in 2008 its owner Paul Raymond died, and his granddaughters inherited his Soho estate. 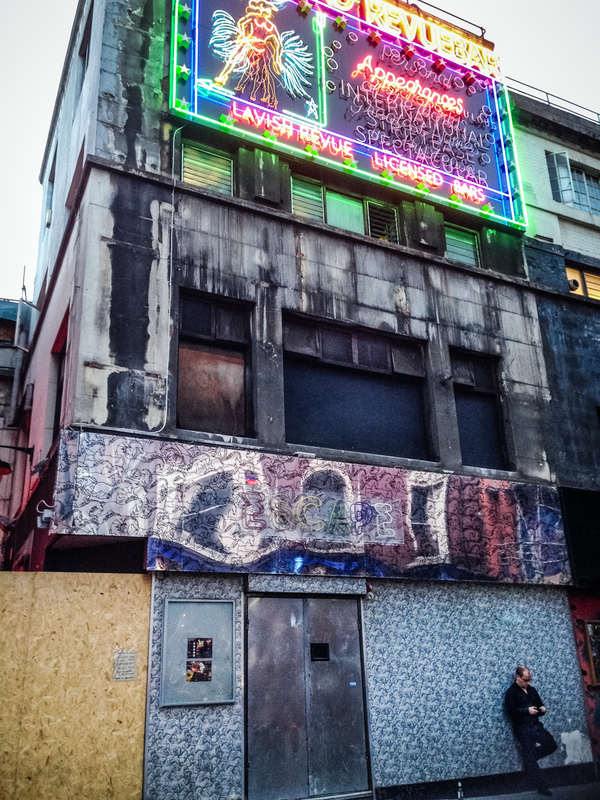 Various ventures moved in, and by the time I shot this in 2015, the Revuebar was looking pretty sorry for itself, albeit with the classic neon sign intact. The bottom photo is a sign for various performance-enhancing potions that was taped to its chipboard hoarding. There’s a history of the venue here. Hi Richard – thanks for the information and the link. Very interesting stuff. Sorry for late acknowledgment, I’ve been on holiday.